It has taken me so long to write about Assa. It is truly my favourite Korean restaurant in London by a mile. I've been going to the original Assa on St. Giles High Street for as long as I remember being in this city. 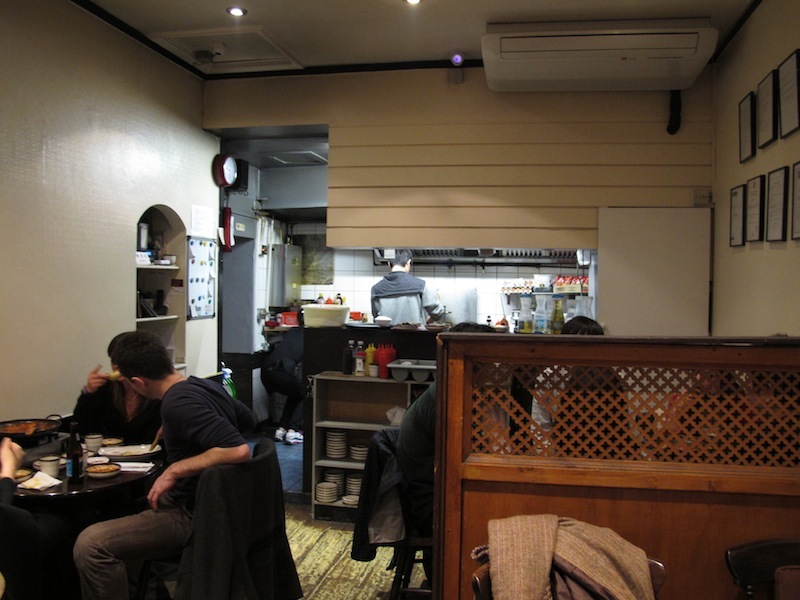 It is a very cosy and homely little restauarant which has gotten popular seeing them open a branch on Romilly Street not far from St Giles Street. I have never been to the new branch but I don't feel the need to as I have gotten attached to this simple little cosy Korean restaurant. 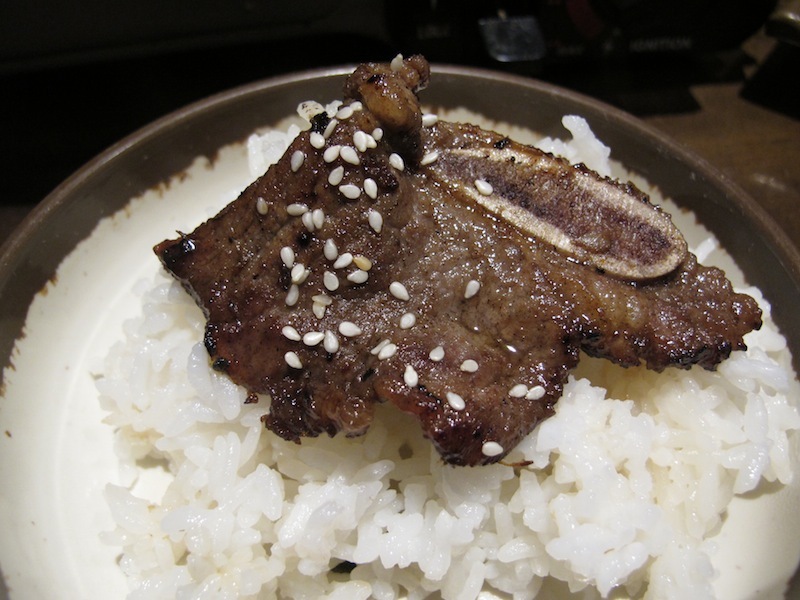 I like feeling as if I am in a small little restaurant in Korea. 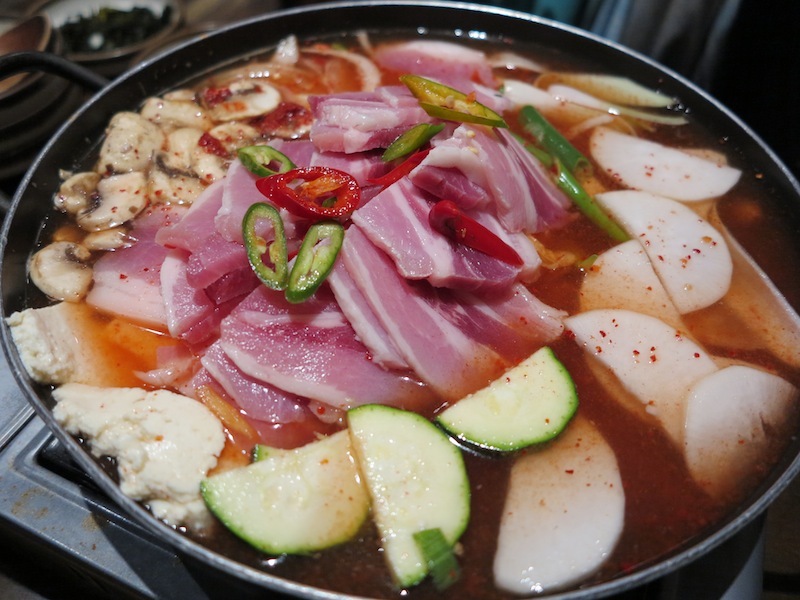 The hot pot is such a winter warmer, one of my favourites during winter or any other time of the year. 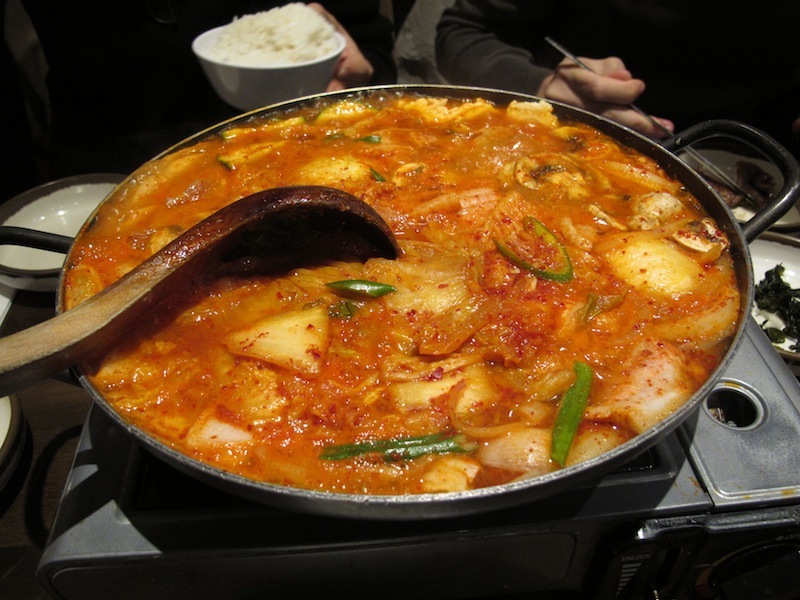 It is packed full of flavour, hot and spicy with lots of ingredients. It gets tastier at the end when the water in the broth has slowly vaporised and and the simmering had garnered the flavour and sweetness from all the goodness in it. 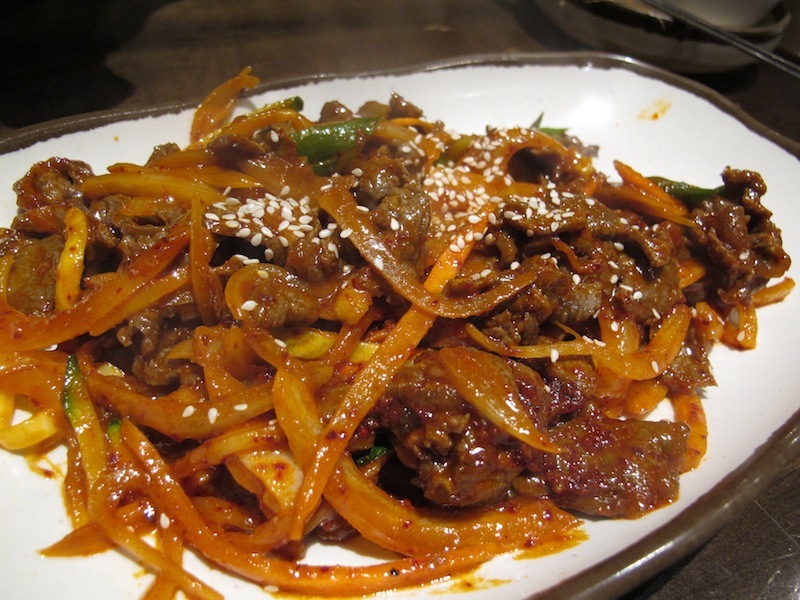 Stir fried spicy marinated beef was so delicious, we finished it in a blink. 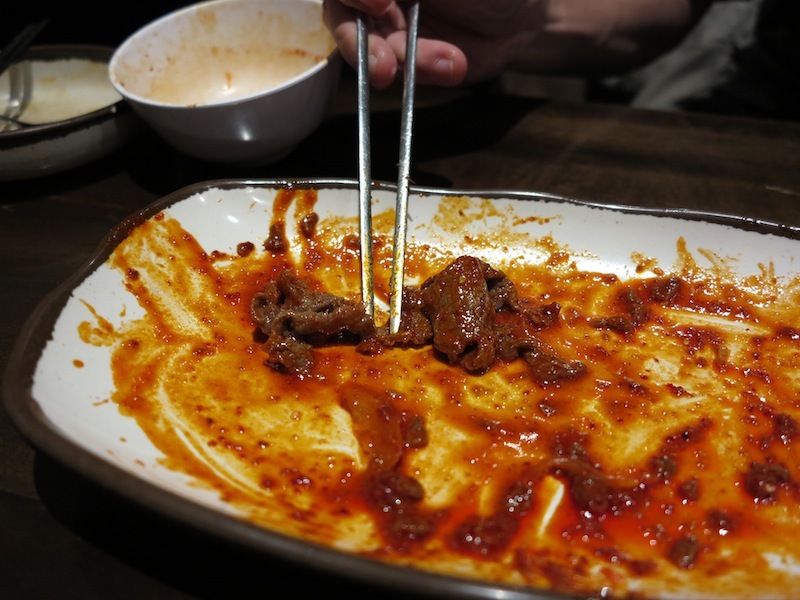 Stir fried spicy marinated beef, all gone and we almost licked the plate clean. 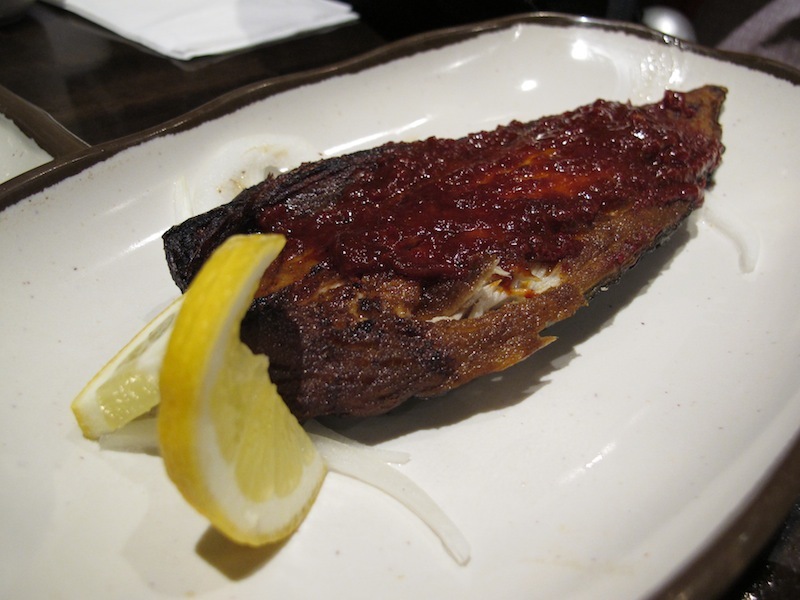 Pan fried mackerel, crisp on the outside and soft on the inside. Well tasty. 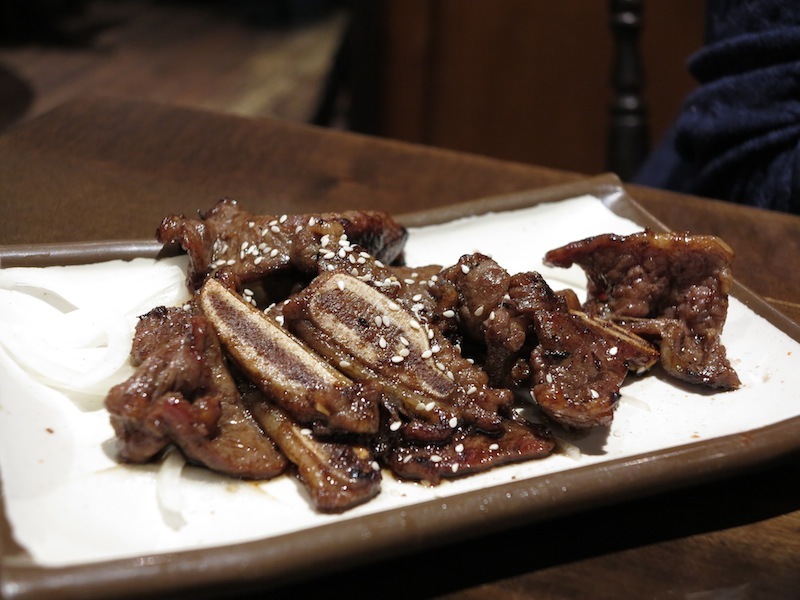 Cosy ambience and fantastic Korean food with no fuss. My favourite Korean in London. There will be a long queue at peak dining hours so get there early. Unless you're in a big group, they don't take reservation. It is a small restaurant. Yes. And I have return many times over the years. WC2H 8LH London, United Kingdom.